- 100% color matched fabric hardware. 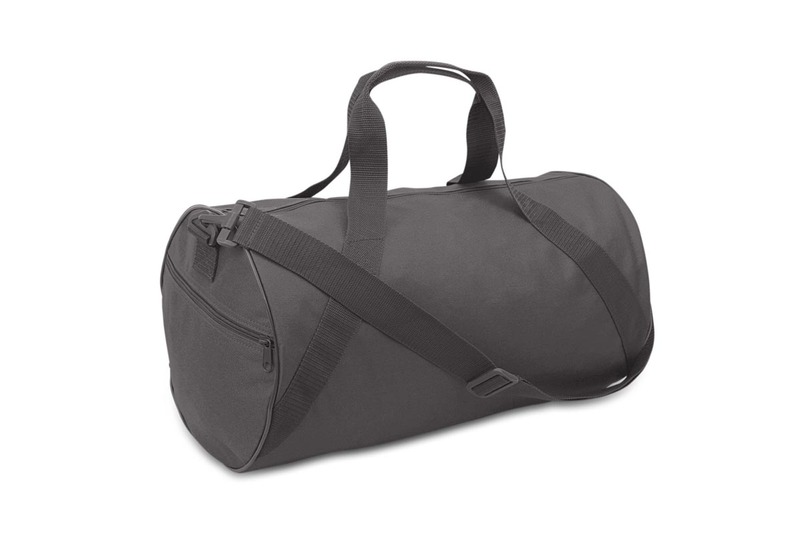 Liberty Bags 600 Denier Small Duffel Bag. 600 denier polyester. Made with 50% recycled material. Single zippered main compartment, diagonal webbed handles, detachable, adjustable barrel shoulder strap. Side zipper pocket. 100% color matched fabric hardware. 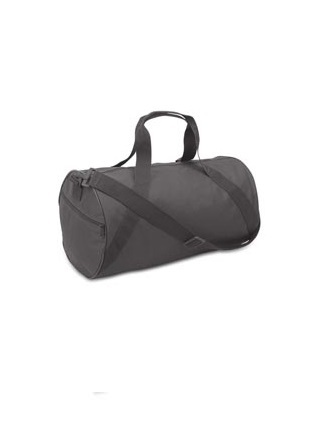 Roll duffel bag. Non-branded label/tag. Colors: White*, Black, Brown, Cardinal*, Forest, Golden Yellow*, Grey*, Hot Pink, Kelly*, Khaki*, Light Pink*, Light Tan*, Maroon, Navy, Orange*, Purple, Red, Royal. *Colors ship from Irwindale, CA. One Size: 18" x 10" x 10". WARNING: This product can expose you to chemicals including Di(2-ethylhexyl)phthalate (DEHP), Di-n-butyl phthalate (DBP) which is/are known to the State of California to cause cancer and/or birth defects and other reproductive harm. For more information, go to www.P65Warnings.ca.gov.